Multiple charges including: Eluding, Possession of Illegal controlled substances, Narcotics and Paraphernalia within the municipal city limits of the Town of Carrizozo. Anthony Barela (AKA Tony Barela, Anthony Hughey). 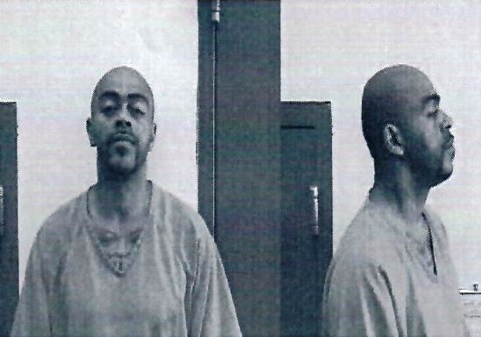 Tony Hughey is a black male aged 48 years of age,with a(DOB: 8/10/1970) who is a convicted felon and is known to be living in Carrizozo or Alamogordo, New Mexico. He weighs approximately 195 pounds, is 5-10 in height and has buzzed cut hair and Hazel eyes,multiple tattoos on his arms and neck. He is a little bulkier than what the photo shows. He is wanted on n numerous criminal arrest warrants from multiple jurisdictions in New Mexico. He recently fled from Carrizozo Police officers who had stopped a suspect’s vehicle which contained illegal controlled substances and narcotics paraphernalia within the municipal city limits of the Town of Carrizozo. Nevertheless, he has continued to preside in Carrizozo and is wanted by the Carrizozo Police Department for questioning related to a number of other crimes within that municipality. Information recently provided to the Carrizozo Police Department, advises that this subject is now allegedly in the Ruidoso area. Call Crime Stoppers at (575) 257-4545 today. The described and unidentified male suspect is being sought in connection with the reported burglary of the Sierra Blanca Pharmacy located at 1206 Mechem Drive in Ruidoso, New Mexico on Monday, October 16th, 2017 at around 5:20 am. Apparent wire frame glasses, medium-thin build. Coat is darker than pants and is about mid-thigh in length. The above described and unidentified male suspect is being sought in connection with the reported burglary of the Sierra Blanca Pharmacy located at 1206 Mechem Drive in Ruidoso, New Mexico on Monday, October 16th, 2017 at around 5:20 am. Anyone with information regarding this burglary or the identity of the unknown suspect is asked to contact Detective Jon Lund at (575) 258-7372. Persons with information may also contact the Ruidoso-Lincoln County Crime Stoppers at (575) 257-4545. Crime Stoppers callers can remain anonymous and may be eligible for a cash reward.